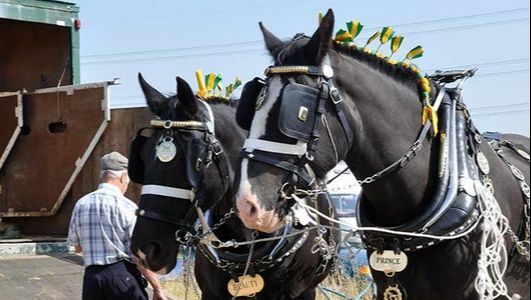 “Fantastic show - one of the best we have been to for a long time"
Heavy Horses have been a part of the Heckington Show since its very early days. 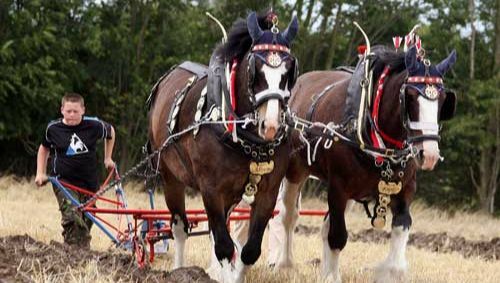 Various breeds of Heavy Horses provided the power to work the land and to haul produce on farms and around the countryside. 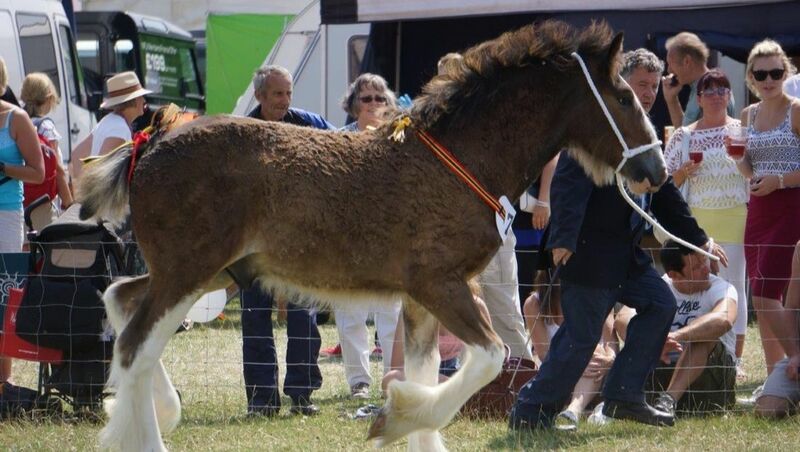 In a tradition that continues today, owners prepare and display their animals in front of a judge, who with an experienced eye would pick a winner…. 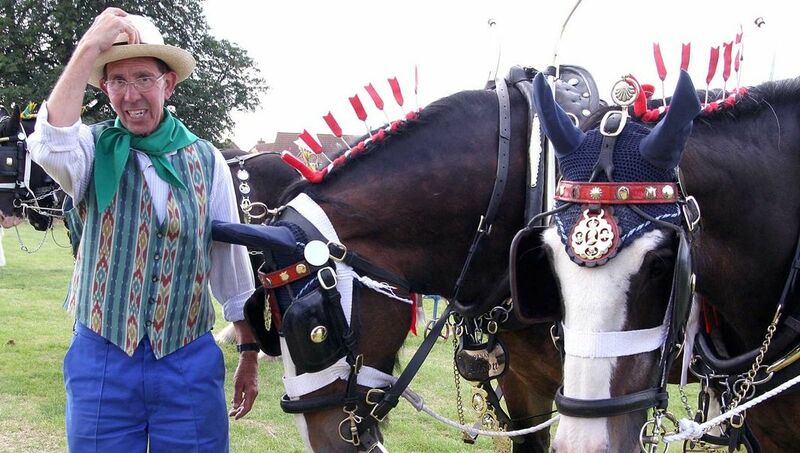 Visit the livestock area for a chance to get close to the heavy horses, and perhaps even work with one. 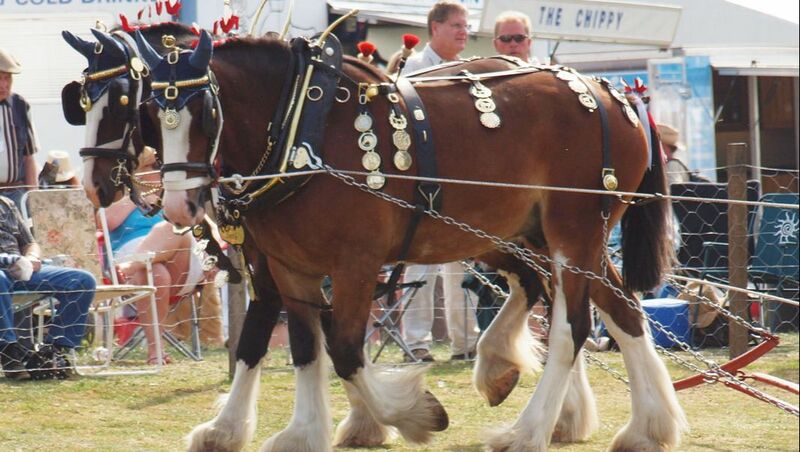 For any recognised breed of Heavy Horse to be shown in full traditional harness. 9. 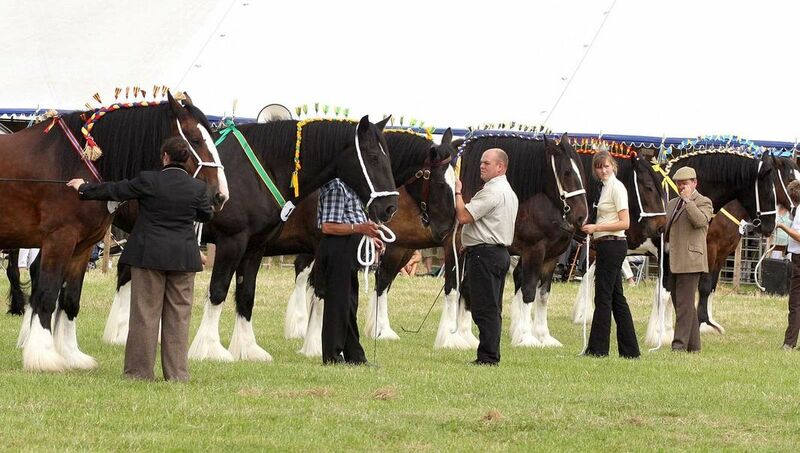 Agricultural Turnout Class - For any recognised breed of Heavy Horse. 10. A single, pair or tandem exhibited in gears with an agricultural vehicle or implement. ​A premium is paid to each entry that appears before the judge in the Harness and Agricultural Turnout classes; this is in addition to the standard appearance fee. The recommendation is that all horses, ponies and donkeys entering the showground should be vaccinated against equine influenza, according to British Horseracing Association guidelines, with the last vaccination having been administered no more than 365 days prior to entry to the showground. ​All equines must have completed the primary course of two vaccinations. The last vaccination must have been administered at least 7 days before entering the showground.